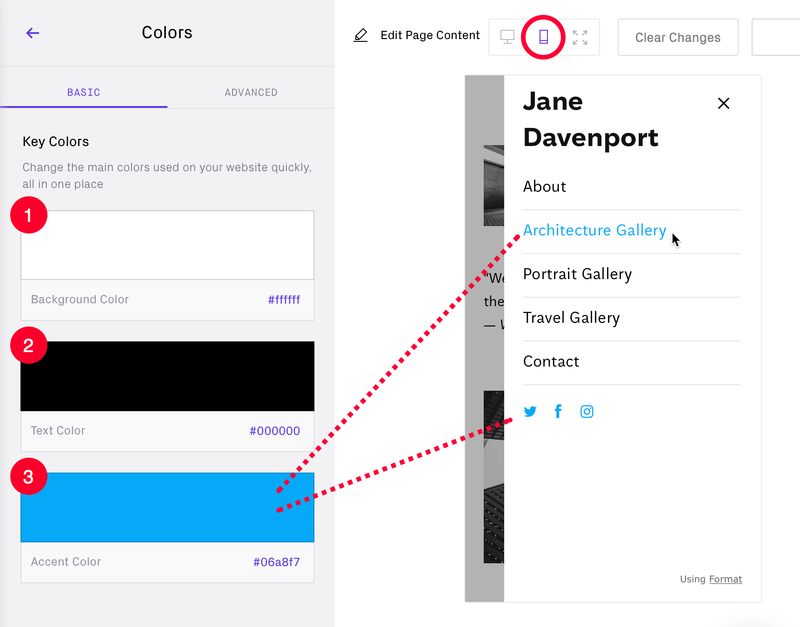 Your website's colors can be edited quickly by changing three 'Key Colors' with our Basic Colors Editor. 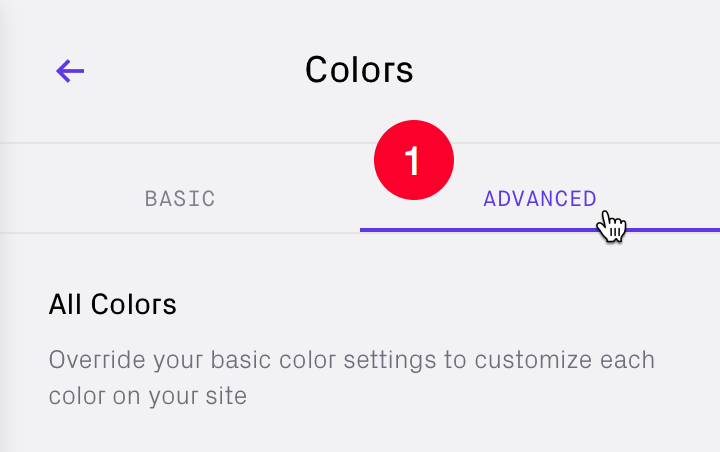 This is a good way to start customizing the look of your site, then you can move to the Advanced Colors Editor to fine-tune every color option available. 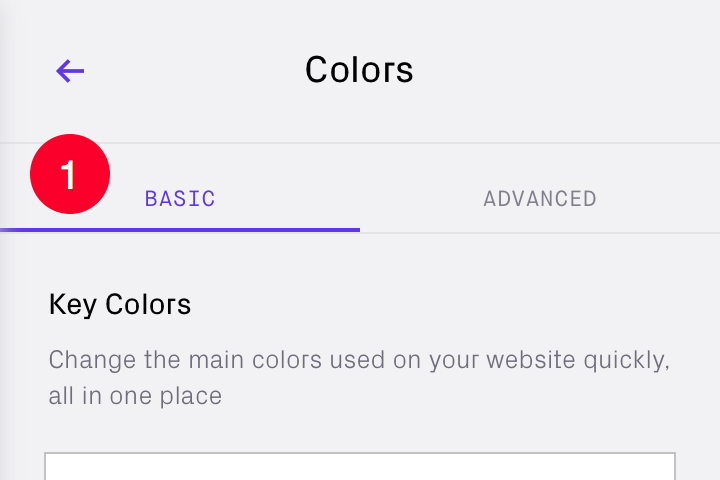 When selecting your Theme the Preset option selected will automatically set your Background Color, Text Color and Accent Color. 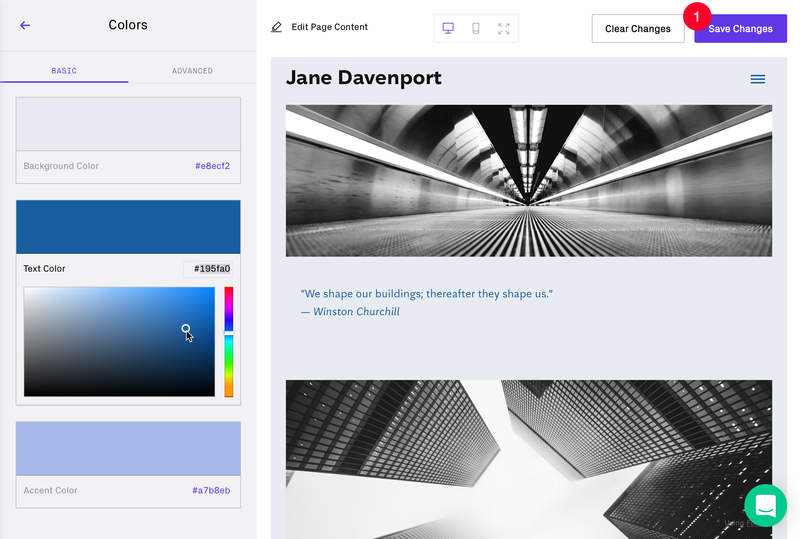 Accent Color: for Text Links, Site Menu Hover/Selected, Page Links and Social Links. Use the picker circle to refine the color or add the #HEX number directly into the field above. As you make changes to the colors you can see the results in the Preview panel on the right. Save Changes to apply to your Live Site. 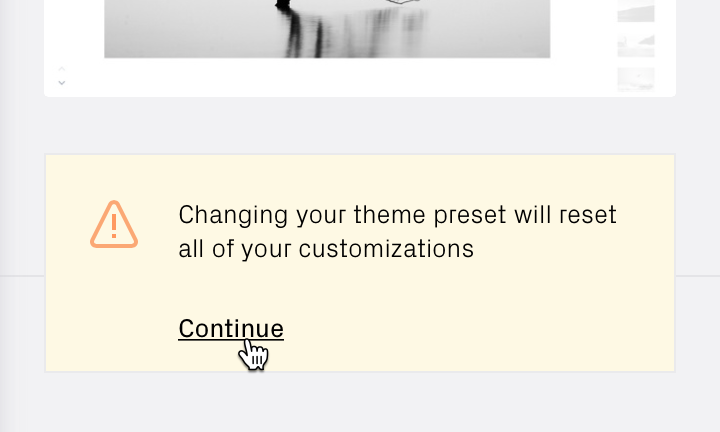 If you don't like the changes to the Key Colors you have made you can reset these to the original Preset default you selected in the Themes panel. To refine individual colors further toggle to the Colors 'ADVANCED' panel. See our Advanced Color Editor guide.